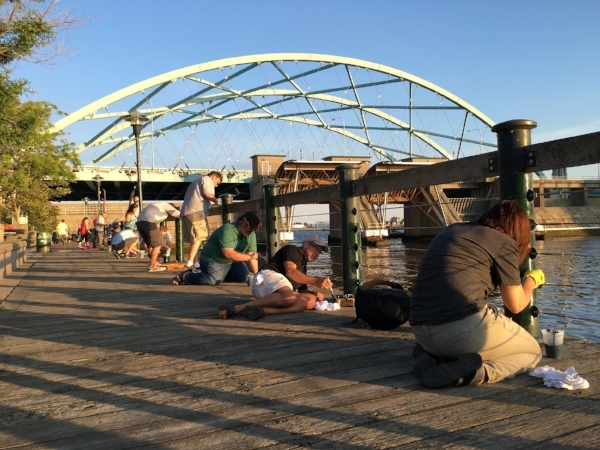 Riverwalk — Downtown Neighborhood Assoc. 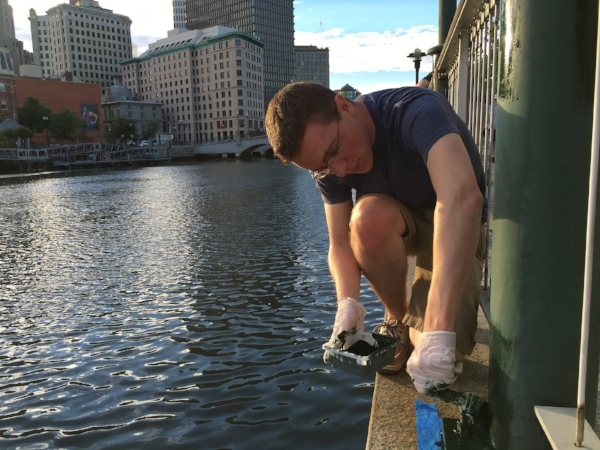 For over two years, DNA members have worked tirelessly to help make downtown Providence a cleaner, safer, more unified place to work and play. 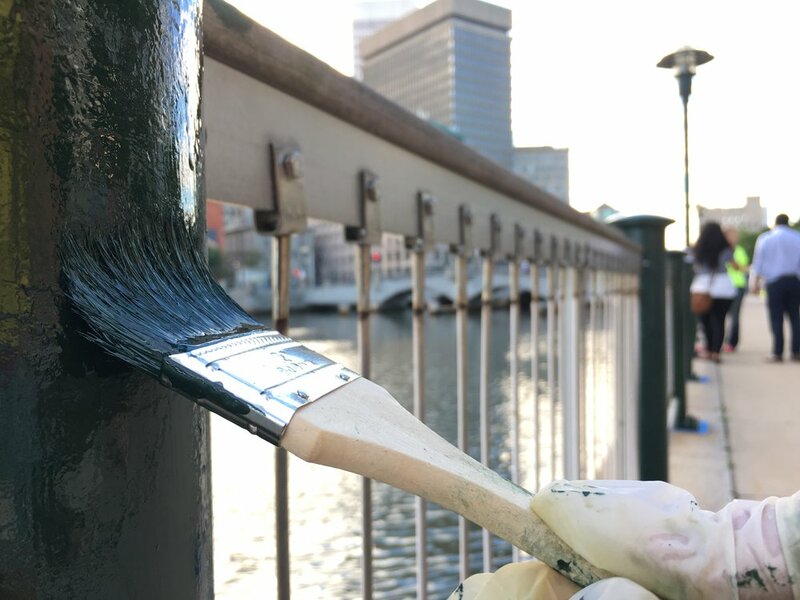 With the help of 200+ volunteers, our Riverwalk Restoration Projects have saved the City of Providence over $200,000 in labor costs alone by sanding & painting hundreds of railings, light poles & benches, and replacing broken cables along our waterfront. The transformation has been incredible, and we're only getting started. 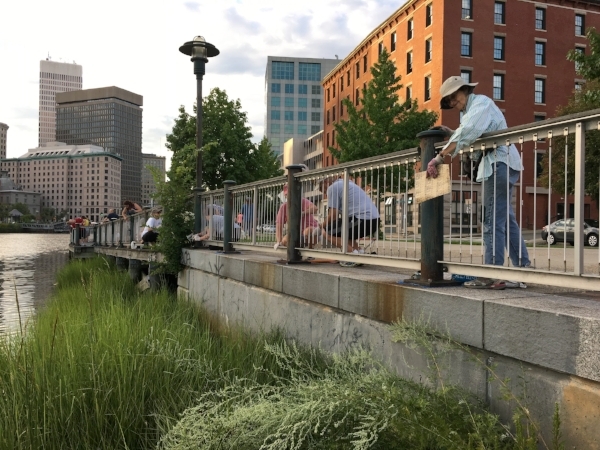 Wendy Nilsson, the superintendent of the Providence Parks Department, was well aware of the state of the Riverwalk – the railings were in rough shape and the cables running between them were broken or missing in places – but the potential cost of repair, combined with the needs of 116 parks throughout the city and the lack of manpower within the Parks Department, didn’t paint a pretty picture. But as the DNA picked up steam, Nilsson saw the potential for what would prove to be a fruitful partnership. 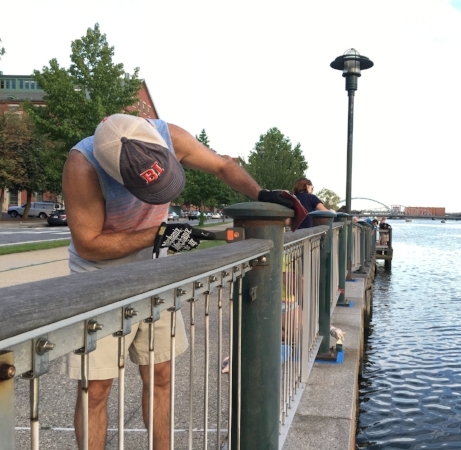 Riverwalk Repair Project Part II - August 17, 2016: Our second project with the Providence Parks and Recreation Department was a huge success! 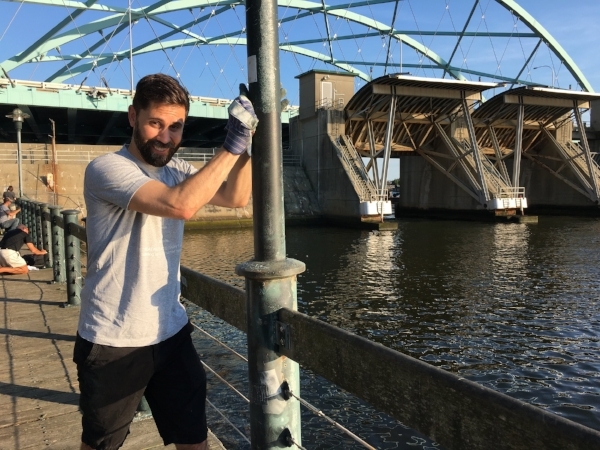 Over 65 volunteers helped to sand and paint over 100 pillars on the upper part of the Riverfront (from the Mile and A Quarter restaurant to hemenways). The transformation is absolutely incredible! Watch video here. 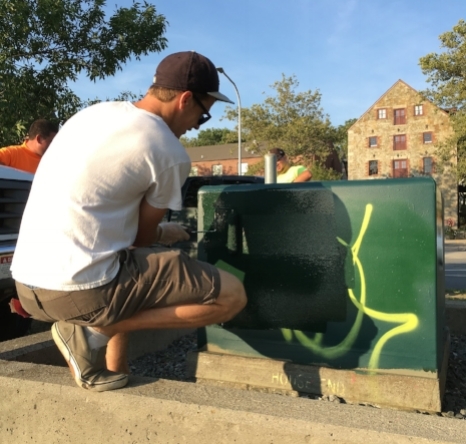 crawford street bridge repair project - october 8, 2016: over 10 volunteers helped to sand and paint the Crawford Street Bridge from memorial park to memorial blvd. Watch video here. 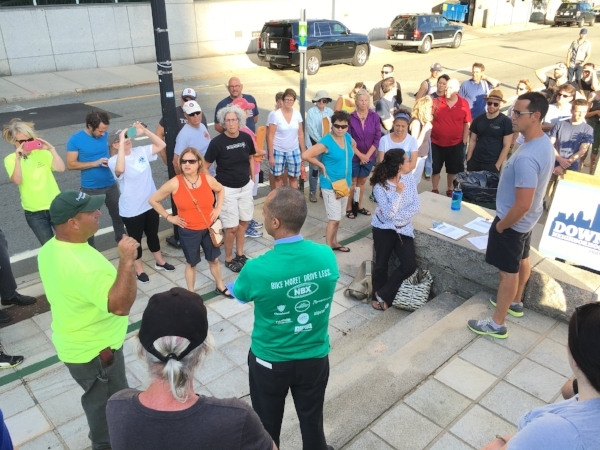 311 PVD downtown inventory walk - November 12, 2016: from the steps of City Hall, we walked through downtown and reported issues such as potholes, graffiti, missing street signs, and other things that need fixing, cleanup, or repair on the city's new PVD311 smartphone app. 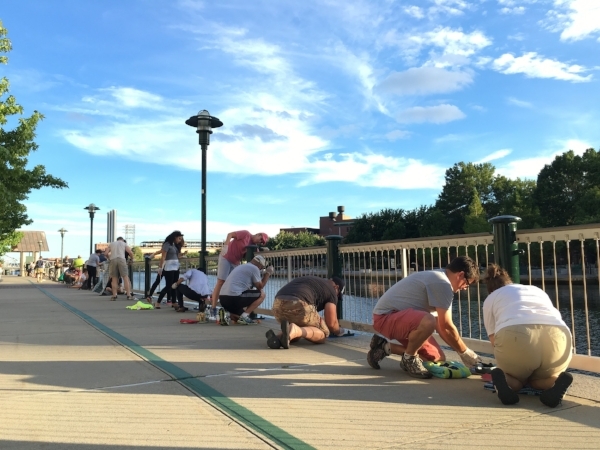 riverwalk restoration project - june 26, 2017: a group of volunteers painted and restored an area in Memorial Park -- an important section of downtown. 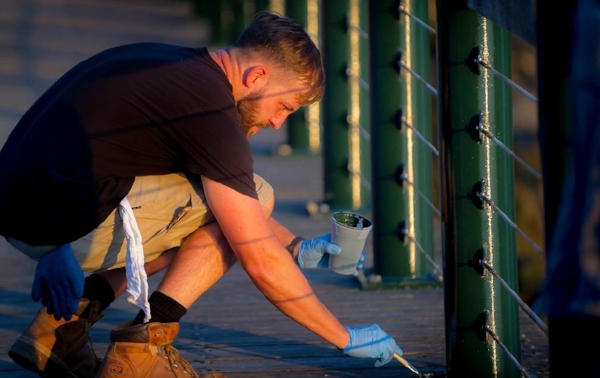 our volunteers worked tirelessly to paint picnic tables, decorative lights, and railings along the river, removing rust, stickers and two decades of neglect. 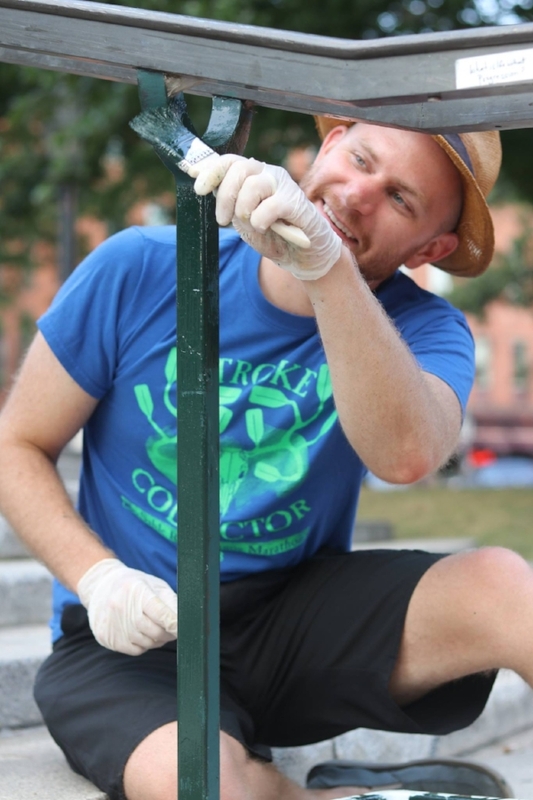 community garden volunteer project - july 9, 2017: our efforts made a huge difference in Burnside and Biltmore Parks! 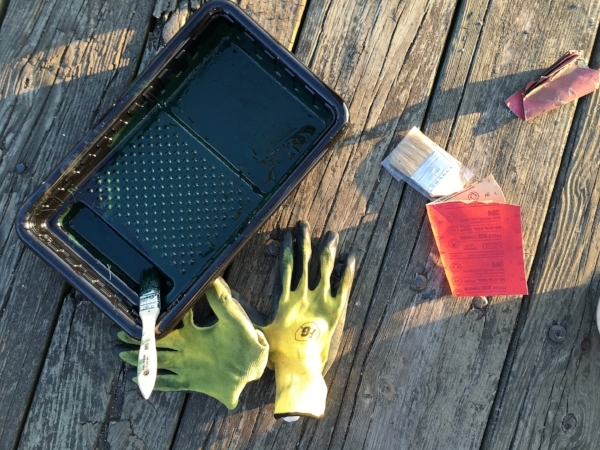 We filled over four trash cans with weeds and other trash throughout the both parks. 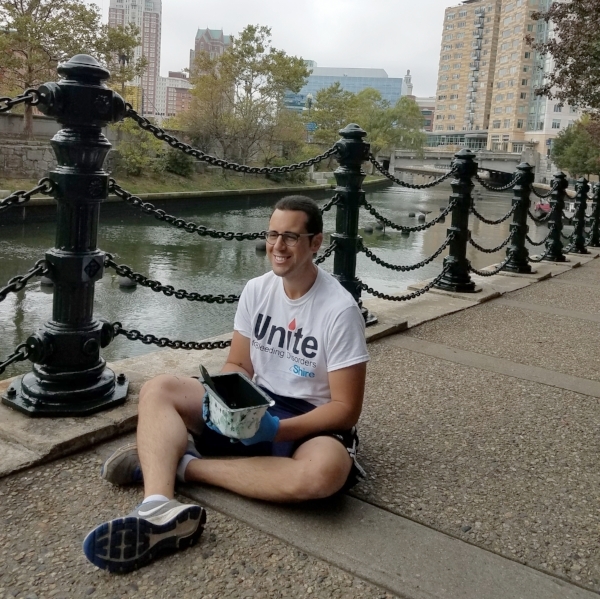 community garden volunteer project #2 - august 12, 2017: we had a great time partnering with the Downtown Providence Parks Conservancy for this event! We weeded the gardens in Burnside and Biltmore Parks, deadheading the flowers, trimmed the over grown vegetation and picked up lots of trash. 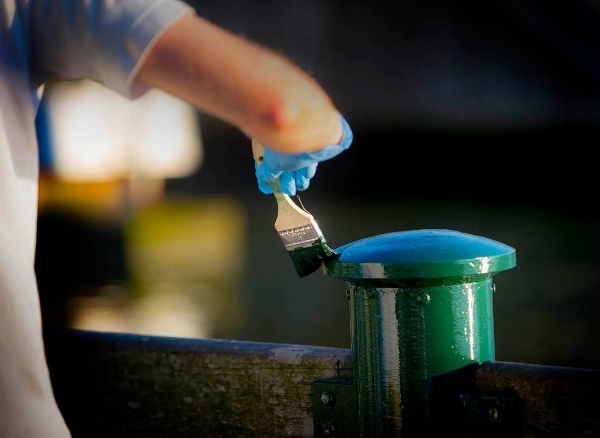 riverwalk restoration project - august 21, 2017: we continued to paint and restore an area along memorial park. 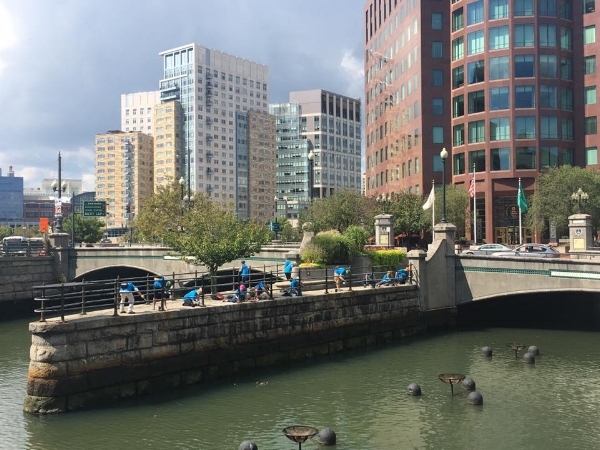 tourism cares project - september 15, 2017: over 50 volunteers from the tourism industry around the us helped us to sand, paint and restore the area known as the confluence at steeple street. 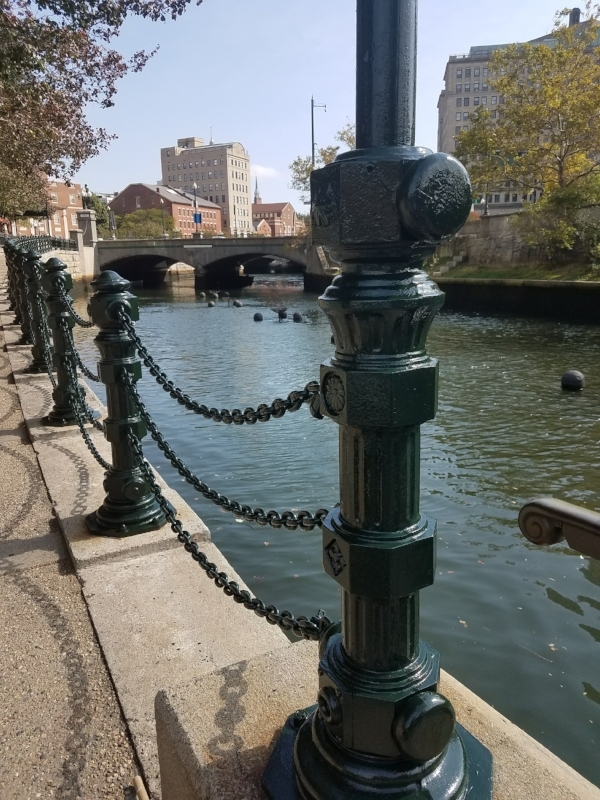 riverwalk restoration project - october 7, 2017: We panted and restored the railings, light posts, and benches from the Cafe Nuovo restaurant to the Gondola docks!